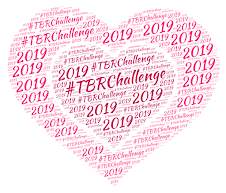 We've all read historical romances where the characters behave in a manner that does not feel true to the time period. It is the rarer historical where the author gives us an "ahead of their time" character and actually is able to pull it off. 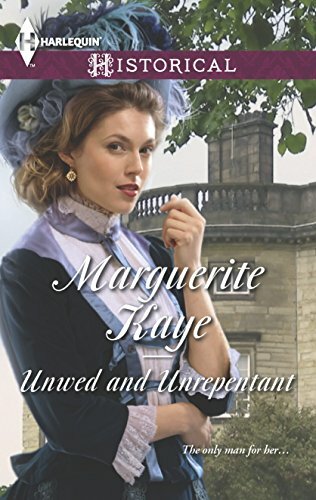 That is what Marguerite Kaye has done with Unwed and Unrepentant, the final book in her Armstrong Sisters series. Youngest sister Cordelia has been a shadowy figure in the last couple of entries, having run away from home to presumably elope. She's seen what trying to please her diplomat father has done to her older sisters and she wants no part of it. Well, now it's ten years later and the wayward daughter has come home to England - with the hopes of reuniting with her family. The only thing standing in her way? Daddy, of course. Cordelia has already been in contact with two sisters, but there's an elderly aunt, two other sisters, and several half-siblings that Lord Armstrong could bar Cordelia from contacting. So she shows up at her father's house to plead her case, such as it is. The problem is that her father expects Cordelia to wring her hands, beg for forgiveness and be repentant. And our girl? Yeah, repentant isn't in her vocabulary. Frankly, she has nothing to repent for. She never did marry (scandalous! ), but made her own money and her own way in the world. She doesn't need Daddy for anything other than to have access to some of her family members, and that sticks in his craw something fierce. So he tries to bring her to heel by blackmailing her. Marry ship-builder Iain Hunter and he'll let her see her family. What Daddy doesn't know? Cordelia and Iain have met before and had a one-night stand. Iain has business with Lord Armstrong. He needs the man's connections to get his foot in the door in Arabia and with the man's sheikh son-in-law. For his part, Lord Armstrong sees the writing on the wall. He has sons now with his second wife, and wheels need to be greased for their futures. And the future seems to be industry and self-made men like Iain Hunter. The plot now set in motion thanks to coincidence (Armstrong just happens to have business with a man that Cordelia slept with years ago), Cordelia and Iain feel mighty annoyed with Lord Armstrong and agree to a "fake" engagement. Naturally though the chemistry between them is hard to ignore. What I enjoyed here was that Kaye writes an independent, capable heroine that still feels true to the era that she lives in. I appreciated that she wanted access to her family and had to deal with Daddy because she had no other choice, but I also loved that she was unwilling to apologize about anything. Cordelia wants to be, and is, independent. She likes her life, she feels like she shouldn't have to apologize for it because why should she have to? She's done nothing wrong, other than live her life outside of what "proper" society would deem acceptable and not dance to her father's tune. Iain is your classic self-made hero. He wants the Arabia business not only because it will mean money, but because it will also give him a chance to work on innovations he has in mind for ship-building. Cordelia has him in knots - being not only beautiful, but not necessarily "needing" him. Yes, she needs him to help reunite with her family, but she's not a little girl lost who needs rescuing. Cordelia is resourceful in her own right. I loved the early Victorian period, the use of a non-titled hero, and Cordelia's character. It's pretty remarkable that Kaye has written a heroine who would be a trail-blazer in this time period and still have her feel like this is the era where she "belongs." A nice way to wrap up what has been a good series, about sisters finding their own way outside of their father's world. Oh you book pimp you--don't you realize I need another book in the TBR mountain like I need a hole in my head? AL: I've enjoyed this whole series, I think the lowest grade I handed out was a C+ (the second book coincidentally). 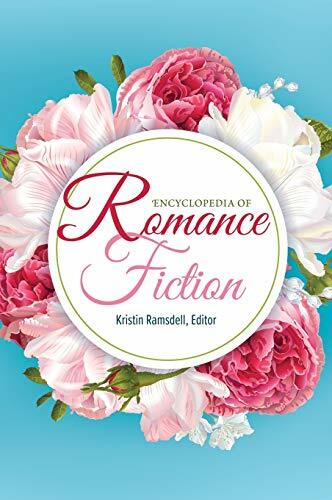 One thing I didn't mention in this review, but I think I did for another book in this series is how lovely I found the sisterly relationships in this book. The author makes them their own women, they're all different, but they still feel like they're sisters. Like they sprang from the same gene pool, the same environment. And Lord Armstrong - he's the father you love to hate without him being Over The Top Bad Romancelandia Daddy. He's not a caricature. I have read the last three and even though I really enjoyed all of them, this one probably the least. Maybe it was that love of the first sight thing... that 'connection' they had right away. Kinga: I agree with your assessment - which is why I knocked my grade down a B-. I didn't think the romance was as strong in this story as it was in the last two especially. Cordelia's character was the real standout for me. I have read all five books and I think my favorite is probably Caro's story (the opium sister LOL). Although I really liked Cressida's story a lot because we got more insight into the Bella's (the stepmother's) character.